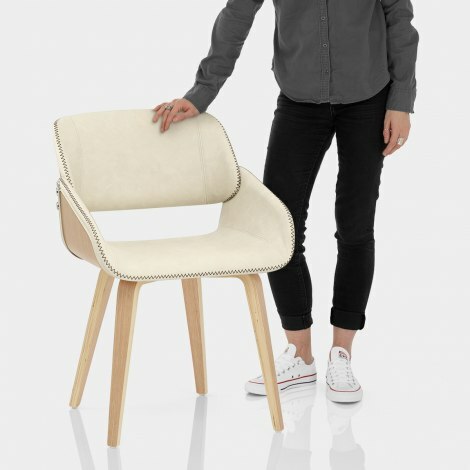 Impress your guests with the Flint Oak Chair Cream, a sophisticated take on a retro design. A versatile chair for the dining room and beyond, the Flint brings character to the home wherever it is placed. Super supportive too, this design is too good to miss. 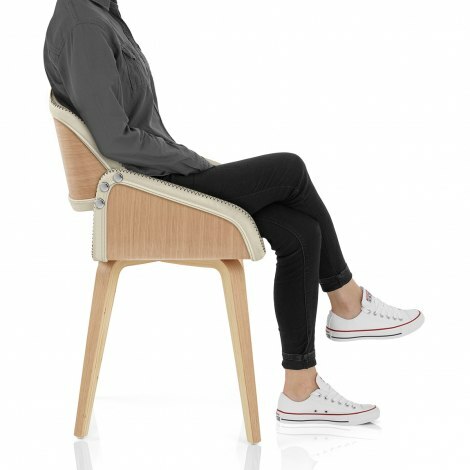 Covered in cream faux leather, the curved seat and backrest also have an oak finished bentwood shell, successfully combining a classic look with sleek styling. 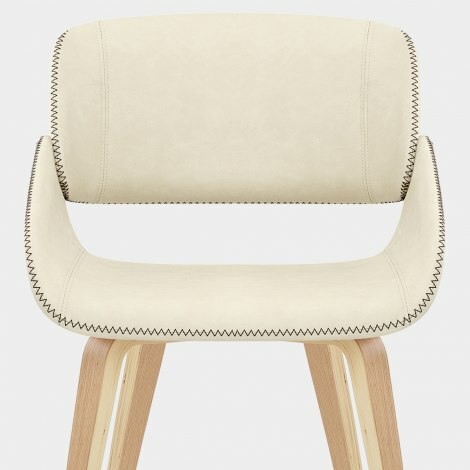 Creating a chic cut out detail between the seat, the elevated backrest has a curved design to support the body, whilst the armrests offer added comfort and have contrasting zigzag stitch detail with chrome studs. Matching the seat, four bentwood legs taper to the floor with grace and form a stylish yet strong frame. Additionally, scratch-resistant plugs discreetly cap each leg to help preserve your floors. "Very comfortable and looks smart in a modern setting"
Very comfortable and looks smart in a modern setting.